How does a Southern Bell from Alabama end up somewhere over the rainbow. Will her dreams come true? Bourbon St. to Broadway is a musical adventure, packed with some of Broadway’s most iconic songs, performed like you have never heard them before. Musical comedian Britni Leslie takes us on an adventure examining the very exciting and sometimes annoying paths your life can take. She is a little lady with a booming Broadway voice and a roller coaster of a story to tell! Showcasing some of Broadway’s biggest hits from shows such as; Funny Girl, Annie, Crazy for You, Thoroughly Modern Millie, Bonnie and Clyde and many more … she weaves together the very true story of how a Southern Belle from Alabama ended up in OZ! Bourbon St. to Broadway is the perfect date night or girls night out. 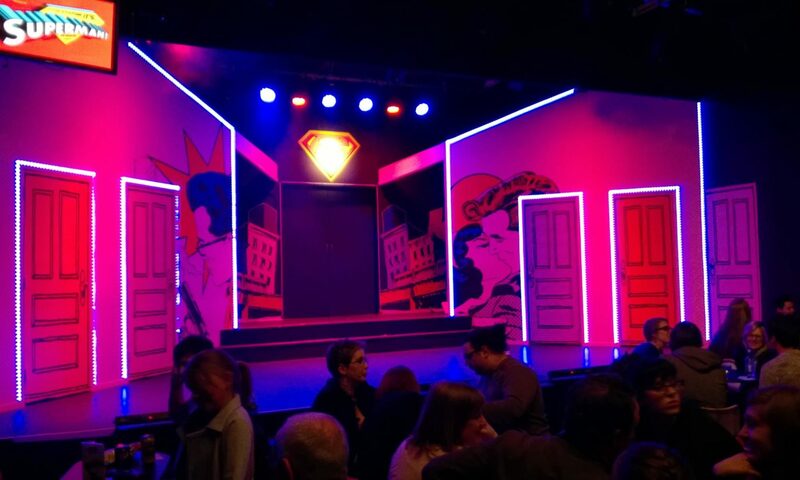 Whether you love a good show tune, a love story or a night of laughs, you can’t help but get caught up in this very funny heartfelt production. The production opens on the 28th of June and runs for 5 nights. Bookings highly recommended. Britni is thrilled to be back performing in Melbourne again. Most Recently you would have seen her performing as Glinda in Wicked. Originally from Mobile, Alabama, she worked in Orlando, Florida, professionally for over 6 years where she performed with Walt Disney World, Universal Studios, The Orlando Repertory Theatre, Orlando Shakespeare Theatre and Sea World. She then began a new adventure in New York City where she performed in many productions and cabarets throughout the city before moving to Australia. She is so so excited to be bringing “Bourbon St. to Broadway” to Australia!